Circuit: sQUARE WAVE DRIVER HAS FLEXIBLE OUTPUTS__ Circuit s designed by David A. Johnson, P.E. 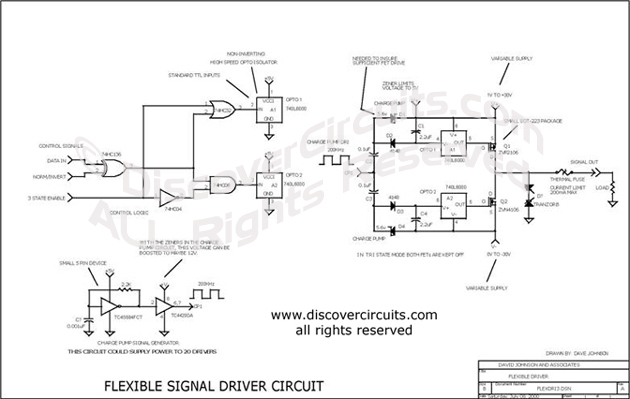 This circuit can produce an output signal ranging from DC to 100KHz. It can source a voltage ranging from 1v to 30v. It can sink a voltage ranging from zero volts to –30v. It can drive up to 200ma of current and can even be switched to a floating tristate output.